This gorgeous brick front colonial has nice curb appeal. The natural easy care yard has a paver stairway with landscape lighting leading to the home. The newer neutral replacement windows and capping complement the home. As you enter the foyer you will be pleased to see the ceramic tile floor that extends from the foyer to powder room. The formal living room has chair rail molding, and a boxed bay window with seating. The natural light from the bay window and the floor to ceiling windows are terrific. The solid oak hardwood floors are a great upgrade to the living, dining and family room. The formal dining room has chair rail molding, and is painted in today's decorator colors. The hardwood floors and updated lighting enhance the dining room. The dining room leads to the kitchen. The kitchen has been nicely updated with galaxy black sparkling granite counters, a glass GE profile cooktop and double ovens and recessed lighting. The tile backsplash complements the cabinets. The kitchen and family room are open for ease of entertaining. The family room has a custom bay window that overlooks the private yard. A French door leads to the deck. The brick fireplace is the focal point of the room. The hardwood floors complete the family room.The home is freshly painted in neutral tones. The master suite is expansive and has a sitting room and private bath. The luxurious updated master bath has been recently remodeled. The shower has ceramic flooring and walls with a nice tiled listello accent. The frameless shower door highlights the gorgeous tile. The soaking tub has the ceramic surround and the floors have 24x12 neutral ceramic tile. A skylight and recessed lighting illuminate the bath. The other 3 bedrooms are nicely sized and all have newer neutral carpet and neutrally painted walls. The main bath has ceramic tile and a vanity with double sinks. 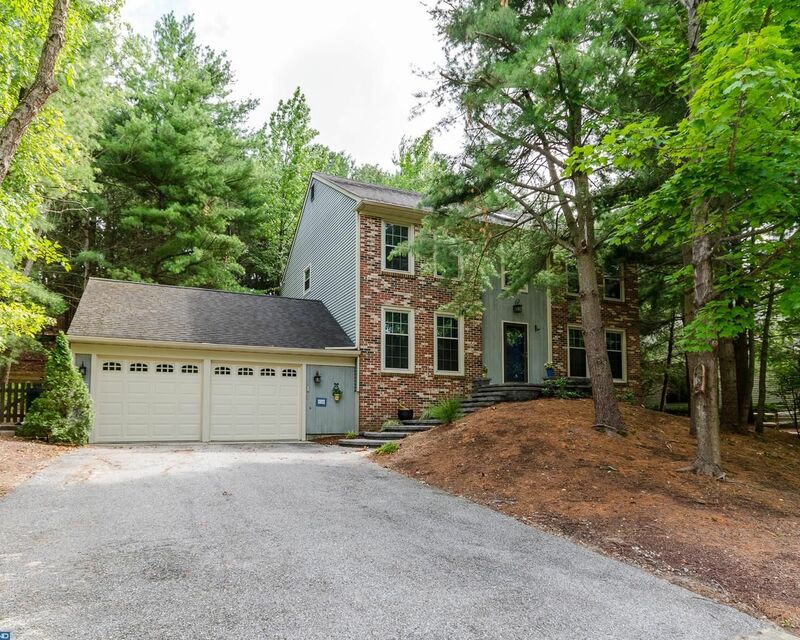 The full finished basement has plenty of room for a rec room, gym and a playroom. A half bath is located in basement as well. The private backyard has a flat area for a play area and a tremendous 2 tier Trex deck with white vinyl railing. The decks have plenty of room for outdoor furniture. This yard looks like a vacation home yard. Enjoy the nature from your deck. This home is a great value and is move in ready. Enjoy all this lake community has to offer: beaches, playgrounds, fishing, tennis, and planned activities.